During a routine gynecological exam, it is highly likely that you will have a pap-smear. This screening evaluates the health of the cells of the cervix. It is the only way to detect the viral sexually transmitted infection HPV (human papilloma virus). If you have been diagnosed, you may be wondering if or how HPV may be impacting your fertility, or concerned about your ability to achieve and maintain pregnancy. There are over 100 strains of HPV. Most are benign (noncancerous/harmless). Only a few strains lead to cervical dysplasia (precancerous changes in the cervix). Sadly, by age 50, nearly 80% of U.S. women have been infected with HPV at some point in their lives. The good news is most women clear the virus through their body’s natural immune response. A healthy body works hard to rid itself of an HPV infection. About 50% of people infected with HPV overcome it within 8 months and 90% become infection-free within two years. However, for others, the virus can be more virulent, or the body’s immune defenses may be low or too weakened to fight it. If HPV is chronic or is an aggressive strain (like strains 16 or 18), your cervical health can be compromised, resulting in cervical dysplasia, fertility health concerns, and increased cancer risk. 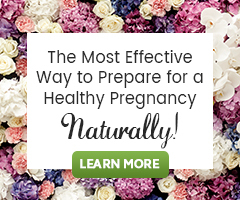 For women wanting to become pregnant, the health of the cervix is of prime importance. Sperm travel by way of cervical mucus through the cervix, into the uterus to the fallopian tubes for conception. HPV itself doesn’t appear to directly influence fertility. However, it increases the chances of developing precancerous/cancerous cells, which could reduce the likelihood of conception or carrying a pregnancy to term. There are many approaches to addressing HPV. Some doctors advise bi-annual screenings and a “wait and see” approach. Additionally, there are surgical options, but they may carry fertility risks. One option, called LLETZ surgery (large loop excision of the transformation zone), can decrease cancer risk caused by HPV. Cervical mucus production can be decreased by the procedure or the cervix itself may be weakened, a factor in cervical incompetence, which is involved in some miscarriages. Natural therapies are a good choice to encourage recovery from HPV and to protect the body’s healthy fertility. For women with high risk HPV or dysplasia who want to become pregnant, we recommend working closely with your healthcare practitioner to determine the best choices for you. A variety of approaches (both conventional and natural) may be the best option for some women. 1. Don’t skip annual pap smears. An HPV test can be done at the same time as a Pap. The HPV test is often done for women above the age of 30, but many women are opting to have this testing done sooner. High risk HPV strains cause no outward signs like warts. Genital warts are typically caused by low risk HPV strains. Aggressive strains of HPV and precancerous or cancerous lesions in the cervix can only be detected through screening. 2. If you smoke, now’s the time to quit! Women who smoke have a greater risk for cervical cancer. In addition, smoking lowers the immune response to the virus. Research shows women with HPV who smoke are more likely to develop grade 3 neoplasia (the immediate precursor to cervical cancer), than women with HPV who don’t smoke. 3. Reconsider taking the pill. Research shows taking the birth control pill increases the risk of HPV turning into dysplasia. Hormonal IUDs show similar results. Non-hormonal contraceptives like condoms may be the best choice if you’re at risk for HPV or if you’ve already been infected. 4. Enjoy green drinks daily. Green drinks containing spirulina, alfalfa, wheatgrass, and barley grass support cervical health. Cancer cells thrive in an overly acidic body environment. Green drinks are naturally alkalizing and help neutralize free radicals and potential carcinogens caused by HPV. 5. Drink green tea. Green tea is a major player in natural cancer protection. Impressively, epigallocatechin-3-gallate (EGCG) in green tea reduces HPV’s activity. In one test, an EGCG extract both stopped cancer cell growth and fought the HPV virus. While green tea consumption is often advised against while actively trying to conceive (TTC), because you may take a break from TTC while treating HPV, green tea may be worth considering. Further research is needed to determine the full scope of green tea in supporting cervical health. 6. Eat beta carotene-rich foods. Carrots, squash, sweet potatoes, tomato and pumpkin are all whole food sources of beta carotene and many nutrients. Beta carotene converts to vitamin A in the body which helps to get rid of HPV. Beta carotene is an immune powerhouse that enhances both macrophage activity and NK (natural killer) cell function against HPV. 7. Eat more cruciferous veggies and consider DIM. Cruciferous veggies like broccoli, cauliflower, kale, and cabbage produce a compound called indole 3 carbinol (I3C). I3C and its metabolite DIM (diindolymethane) have been found to help neutralize cancer-causing chemicals. A Linus Pauling Center study showed that women taking 200-400 mg of I3C over 12 weeks showed a regression of precancerous cervical lesions. DIM is better absorbed than I3C, and is a good choice to support cervical health, naturally. 8. Think B vitamins. B complex vitamins offer protection against HPV. One study reveals high blood folate levels are linked to the prevention of mild cervical dysplasia and HPV 16. Some women see improvements in their cervical health by taking folic acid 1000mcg and B12 1000mcg daily. For proper absorption of both folic acid and green tea (if you choose to try them both), be sure to take them at different times in the day. 9. Medicinal mushrooms are immune-system defenders. In Bulgarian research, supplementing with coriolus versicolor mushroom [commonly referred to as Turkey tail] (3 grams a day) over a year reduced LSIL cervical dysplasia and helped the body to get rid of HPV. Consider all of the Mushroom Health Benefits for Fertility. HPV is the most common sexually transmitted infection of our time. While an HPV vaccine is available for younger girls and boys, women and men past age 26 have no such protection. Further, the HPV vaccine has risks like Guillain-Barre Syndrome and may not prevent all cases of HPV. Regular pap smears are critical to keeping a close eye on cervical health and protecting your fertility. You may not know if your male partner has HPV since men usually show no outward signs and are not routinely screened for it. Thankfully, most HPV infections clear the body naturally. If extra support is necessary, work with a qualified health practitioner for the best results. The recommendations in this article are a good place to support the health of the cervix and protect natural fertility if you’re dealing with HPV.